Today Kim and I were joined by a 3rd Baltic Hero for the remainder of the rally! Our Canadian friend Romanda from Mongol Rally team 3 Blondes and a Beater is now living in London and will be joining us for the next couple of days in Stockholm and Copenhagen to finish up the rally! 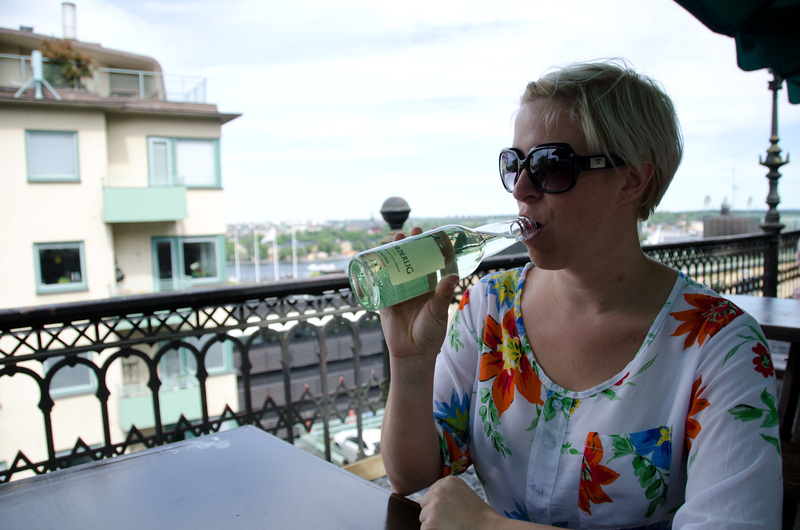 We all met at the central station this morning, meandered around Gamla stan and grabbed some lunch. Bellies full from a delicious veggie buffet, we met up with a fourth, another friend from Seattle who is Swedish and lives here part of the year leading tours around Scandinavia. We all walked over to Djurgården and explored Skansen, part zoo, part cultural and historical review of Sweden. Hours later, more walking, back down to Gamla stan for dinner, before finally catching the tunnelbana back to Abrahamsberg to end the night. Pretty exhausted today. The GPS track says we walked 9 miles, but it feels like we must have walked more. Planning to explore Söder tomorrow, maybe less walking… oh yeah, and photos at some point .